Was honored by God before, and now with wonderworking. Saint Timothy lived in the sixth century during the reigns of Emperor Justin I of Thrace and his nephew Emperor Justinian the Great. Because he was adorned with the all the virtues, he was chosen to become the Bishop of Proconnesus. 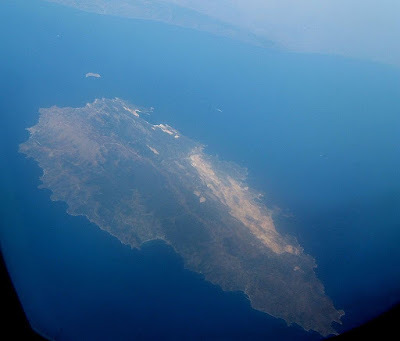 Proconnesus (Prokonnesos, Proikonesos) is known today as the Marmara Island, the largest island in the Sea of Marmara. During the reign of Constantine the Great in the fourth century notable aristocracy from Constantinople first settled on the island. By 569, many Roman aristocrats had built palaces on the island that they had accepted as their home. The greatest palace of this period was built by the Emperor Justinian I. With the Emperor came a large entourage of nobility, palace guards, tradesmen, and servants. Justinian also built a large convent on Marmara that is one of the earliest in recorded history. The Roman royal presence on the island was strongly felt through strong ties to the Patriarchate of Constantinople. During most of its history, the island was called "Proikonnesos" (island of the royal dowry), and "Prinkipo", (island of the aristocracy). In the early sixth century, however, Proconnesus had been overrun by pirates, and there was much vice along the shore. When Saint Timothy arrived he tried to change their minds to be more godly, and he succeeded in this in a short time. He shepherded his flock well, lived as an ascetic, overcame slander, and healed the daughter of the emperor Justinian who was demon possessed. He finally reposed in peace on the 1st of August. Empress Theodora, out of gratitude to the Saint for healing her daughter, built a monastery dedicated to him at the place her daughter found healing, where his sacred relic was found, and there also a sacred spring gushed forth. This monastery was located to the southeast of the island, where a yearly festival was held in his honor. He is considered the patron of the island.